Explore the infinite possibilities in this exciting offering. In an open outdoor pollination, Gage Green let all their males out to show their true colors in the open air. 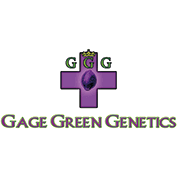 Gage Green chose the Old School Afghan Haze as the mother genetics for this specific project. Having seen several winners from the same seeds, they knew they had to incorporate her into the lineup. This champion hybrid comes from original Afghan Haze stock which they have treasured in their collection. The Old School Afghan Haze was bred to combine the finest traits of both sativa and indica worlds. Explore the spicy sweet aromas, oozing with the smell of tropics and spices. It is a phenomenal starting point to explore the endless options provided in the heirloom genetics which pollinated this gorgeous mother. Expect to find a wide range of phenotypes, all with tremendous potential for success. Yield En Intérieur: 350/450 g/m2 / Sous Serre or En Extérieur: 350/450 g/plante.